TeenyB's mission is simple: to offer the best in Brazilian cut bikinis through a commitment to design, quality and superior customer service. TeenyB's story begins with a young and motivated Katie Gardner determined to design a "better bikini". She included all the elements she felt the industry was lacking; better material, better design, and a better fit. Her quest led TeenyB's humble beginnings to the now ambitious and strong luxury swimwear brand. "We want to become a household name. We want to completely and irrevocably change the face of bikinis and how women not only wear - but approach them." 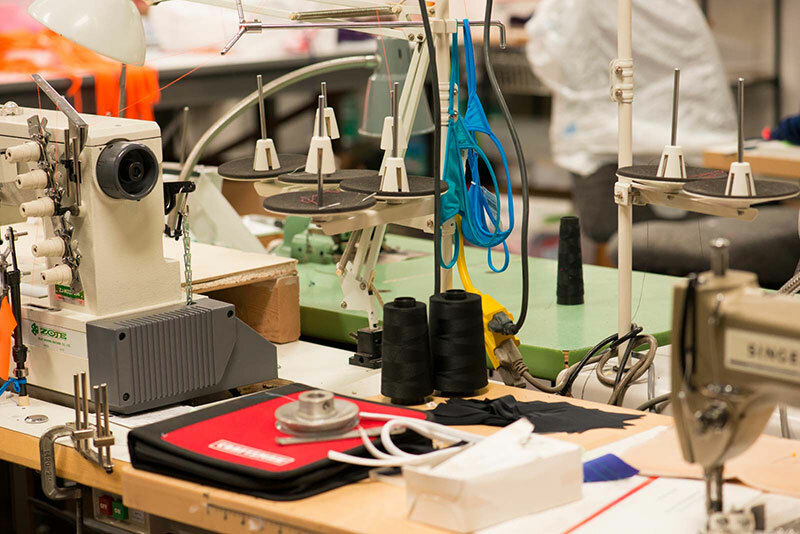 The luxurious appeal of a TeenyB begins with the in-house manufacturing process. Each piece is hand cut and individually sewn by our experienced seamstresses. This process allows for rigorous quality control to ensure the best product possible. All bikinis sold by TeenyB are made in the USA. Each bikini is designed with incredible attention to detail using only the highest quality fabric and threads. Our trims are hand selected and we design many customized pieces to suit our needs. 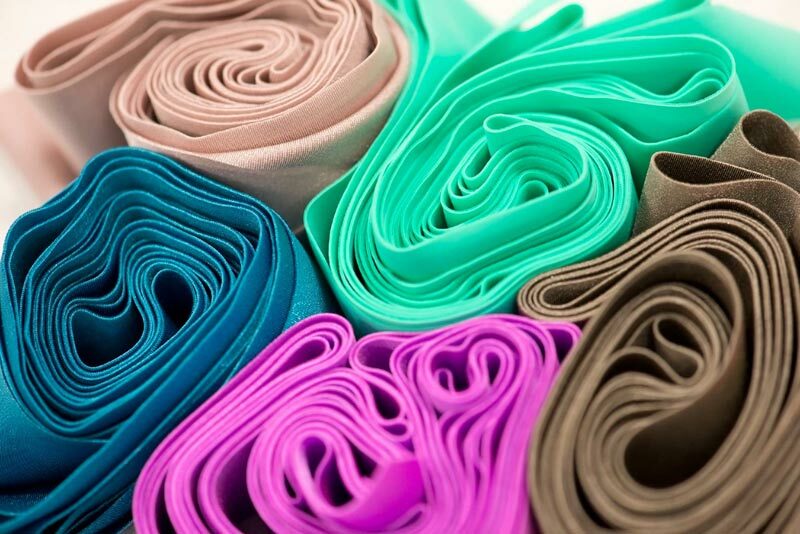 Our commitment to luxury is defined with even the smallest of details; down to the stitch. 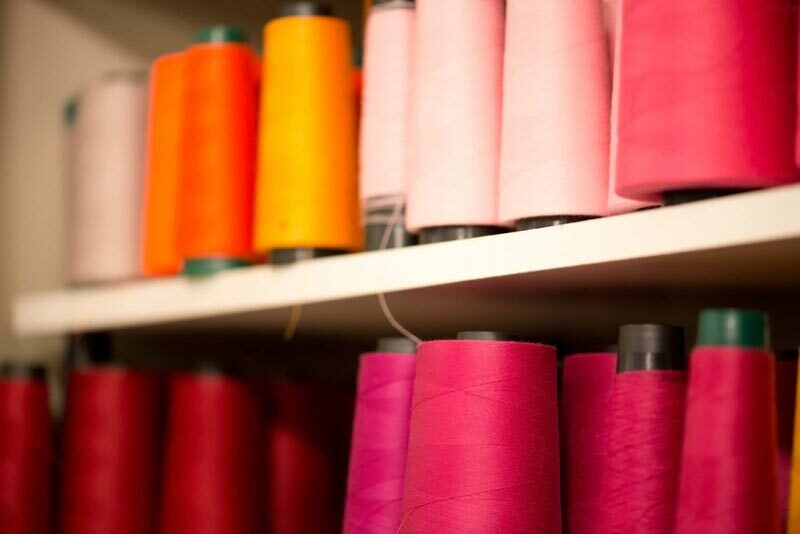 Choosing a strong thread is the backbone to creating garments that last longer than just one season. We create our bikinis with luxurious, hand selected Italian fabric. Each fabric is tested in salt, sun and chlorine, so we know they will stand up to the elements. We offer colors across the spectrum to suit everyone's bikini needs; from classic and essential colors like black, reds, and purples, to rich deep jeweled tones. Our brights collection is a variety of eye catching neons and brights perfect for summer. We select colors that are complementary to natural skin tones so you feel as beautiful as they look. Custom accents and trim are used across the line to create unique pieces. Our B.Luxe & B.Couture department trims focus on the inclusion of crystals, with genuine Swarovski crystals, silver and gold plated forms and other custom accents. While some may be delicate in nature and should be handled as such, they are all tested for use in salt and chlorinated water. We offer an assortment of bikini tops designed with fit, comfort and style in mind. Our tops range from the classic triangle shapes to bandeau and underwire tops. We offer innovative styling such as our knotted top with braided ties for a secure and comfortable fit, while retaining an understated elegance while at the beach. We design our tops with the essential TeenyB girl in mind. Active, functional, fresh and sophisticated. We have reengineered the way bikini bottoms are created with our binding method that removes the thick elastic that fights against the spandex's natural stretch and your bodies natural curves. We pride ourselves on pioneering the new way to approach how swimwear fits on a woman's body. Each bottom is designed to have the perfect amount of coverage on your body without the extra fabric to bunch up and detract from your style. Our exclusive brazilian bottom styles range from our pucker and cheeky designs to a Whaletail Thong that defies all the rules. We offer over 20 different style and coverage selections to tailor to your personal preference. We are committed to the ultimate online shopping experience. We pride ourselves on superior customer service and selling exclusively online to make sure that's always the case. You can buy with the utmost confidence in the quality of our products and the best fitting. Our customer service department is at your service to ensure all questions are answered, and of course we still offer an excellent return policy so you can shop with peace of mind.